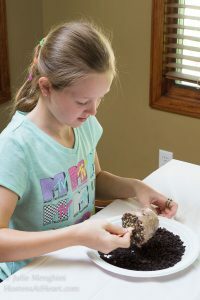 Super Fun Summer Ice Cream Pops with Hiland Dairy make a perfectly fun and delicious summer activity for the whole family. When my children were younger, summers were for playing, fun activities, and vacations. 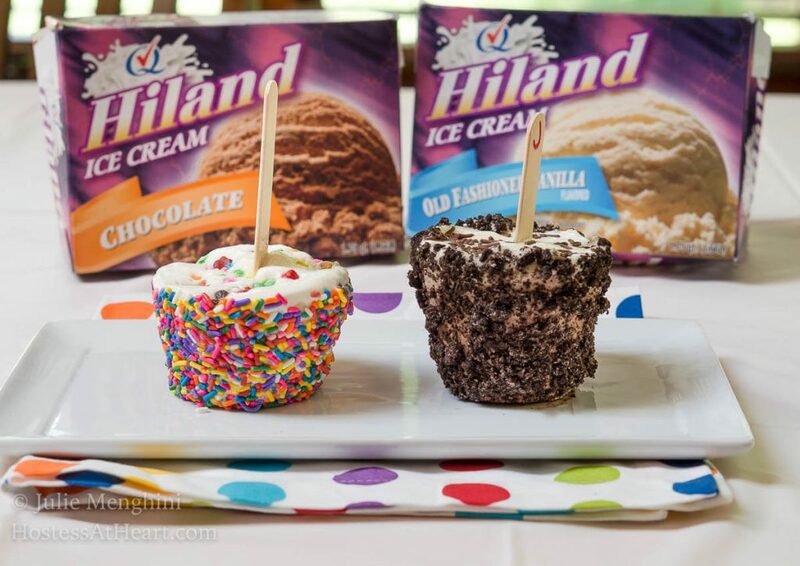 They would have loved making these Super Fun Summer Ice Cream Pops with Hiland Dairy. My children have grown up and moved out which leads me to kidnap borrow my neighbor’s children. I enjoy lots of fun activities with these kids. They had a ball making the Minion cupcakes, and if I remember it correctly it was the youngest one, Benjamin’s idea! I’ve got to get him on the payroll! When I was given the opportunity to work with Hiland Dairy again, I wanted to get together with these kiddos and plan a fun activity. With school just letting out, I knew they’d love it. Before I issued the invitation though I had to make sure Hiland Dairy Ice Cream was “safe”. One of my little buddies is extremely allergic to peanuts. 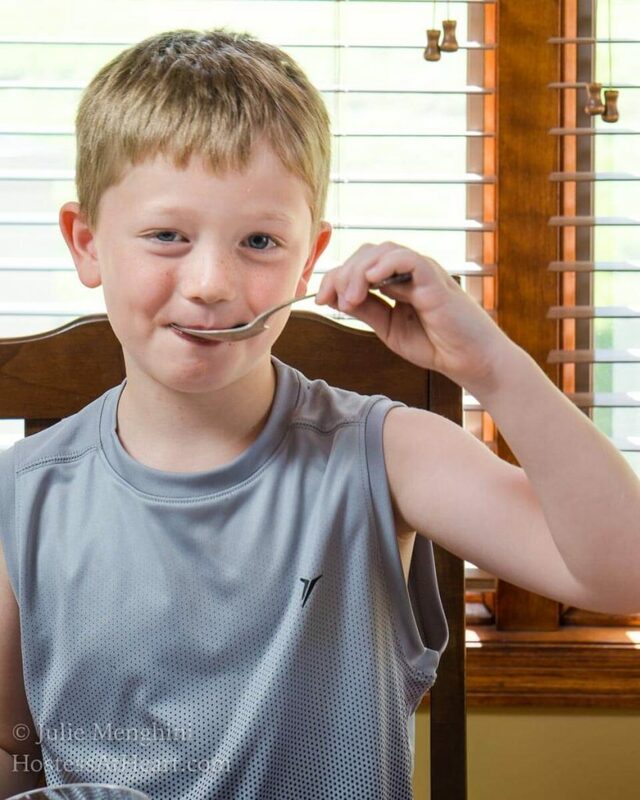 Hiland Ice Cream is “safe” for people with nut allergies. 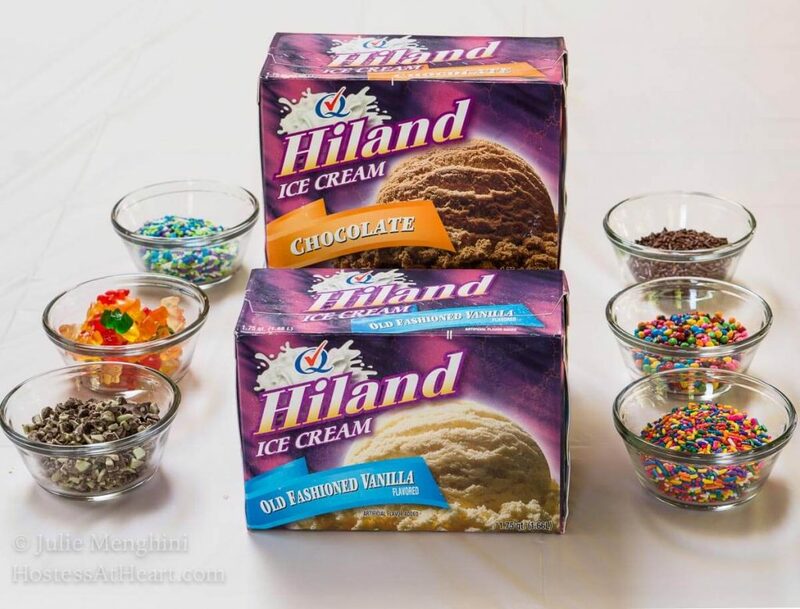 I also learned that Hiland Dairy contains no artificial growth hormones and is always tested for antibiotics. As I was getting the “scoop”, I learned that they are also running a contest where you can win a vacation for four! “Pop” on over and enter! Coming up with the Summer Fun Ice Cream Pops was pretty easy. I wanted something that they could just play at making without much instruction. Think about the flavors that they liked together such as chocolate and mint or cookies and cream. These kids were pros. 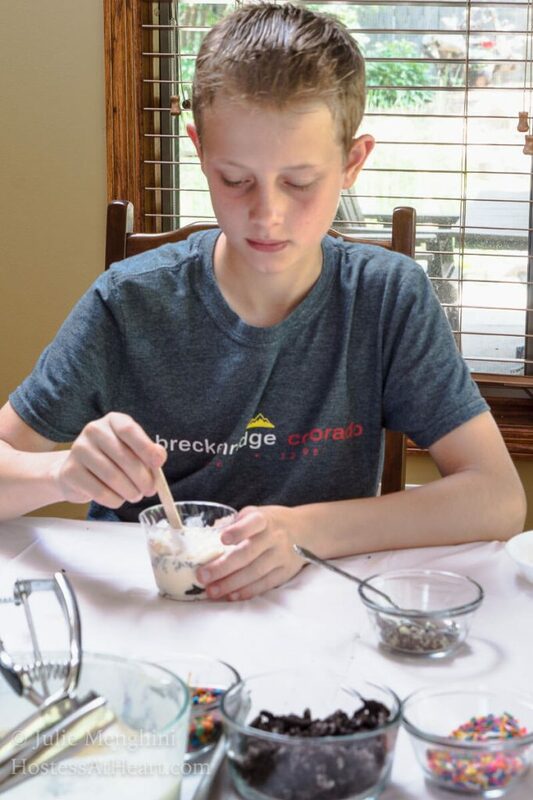 William was methodical in his goody placement and ice cream scoops. Benjamin used more of the smoothie approach. He said, “it doesn’t look so good on the outside but it’s good on the inside”. I agreed. As soon as each one was complete, I labeled a treat stick with their initial and put it in the freezer. They were all in the freezer once it was time for their ball practice. After freezing solid, they came back to roll their works of art in more goodies. Amelia, who had been under the weather earlier, joined us. We warmed the cups briefly in our hands until they would just turn. After rolling them in the goodies we put them back in the freezer. In no time, we had some creamy delicious ice cream pops! 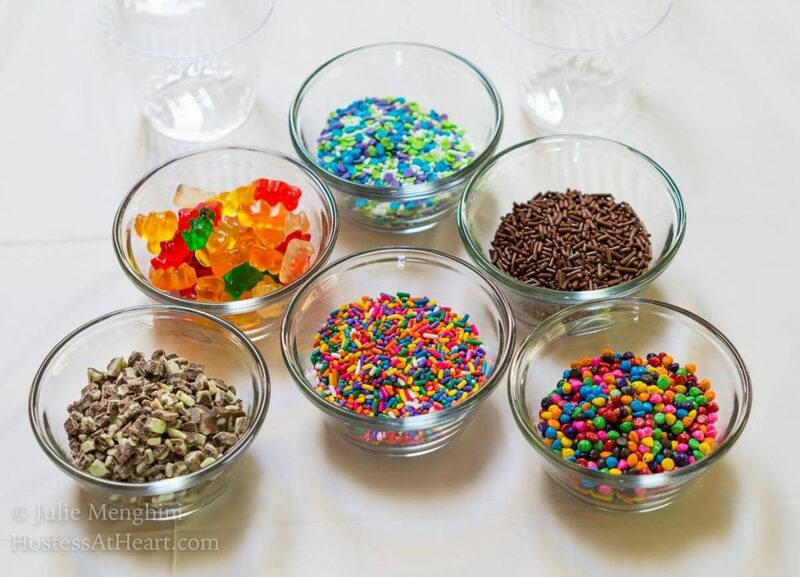 Mixers such as small candy jimmies, crushed cookies, gummy bears, non-pareils, etc. 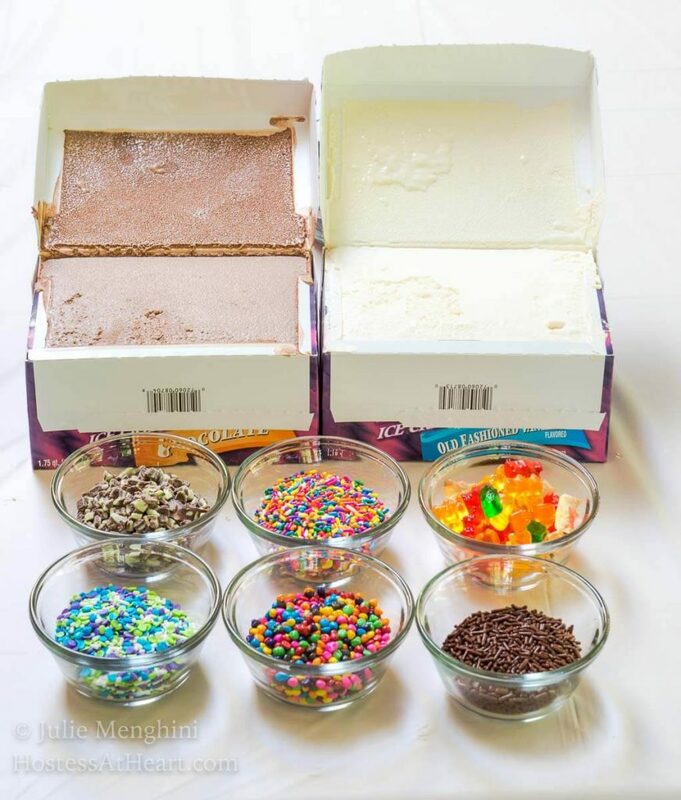 Place a rimmed baking sheet in the freezer, making sure that it is low enough to put the completed ice cream cups on. Set the ice cream out to soften. Putting it in separate bowls make it easier to scoop. Lay out the mixers, cups, and treat sticks. Place the first mixer in the bottom of the cup. This will be the top of the ice cream pop. Add one or two scoops of ice cream. Apply more mixer and then another scoop or two of ice cream. Add stick and freeze until solid. Place mixers on a plate. Remove an ice cream cup and warm until it can be turned and removed from the cup. 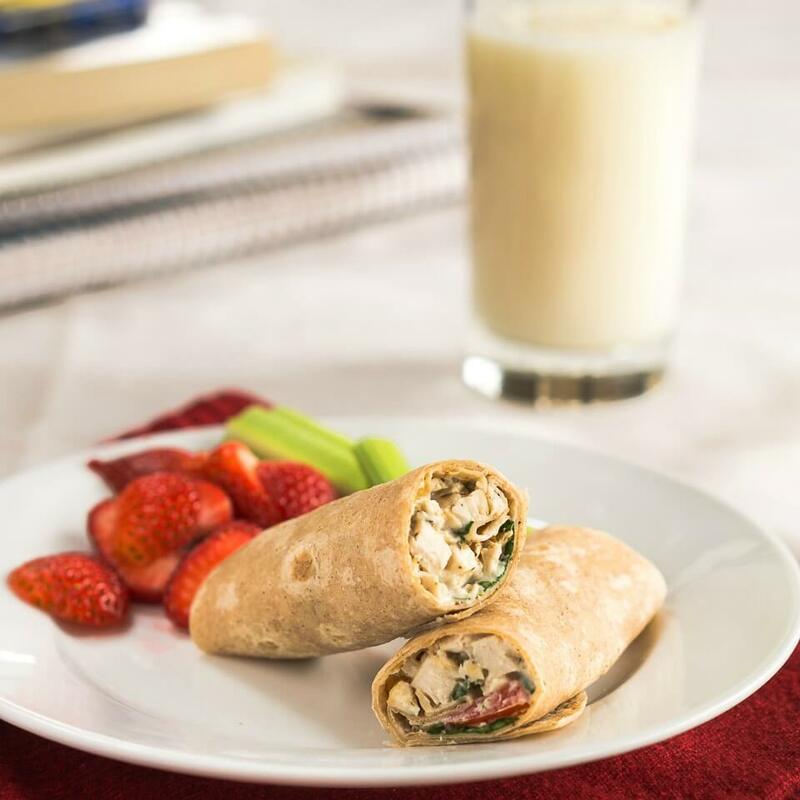 Roll it in the mixer and then return it to the freezer to freeze solid once again. Win a vacation for four! 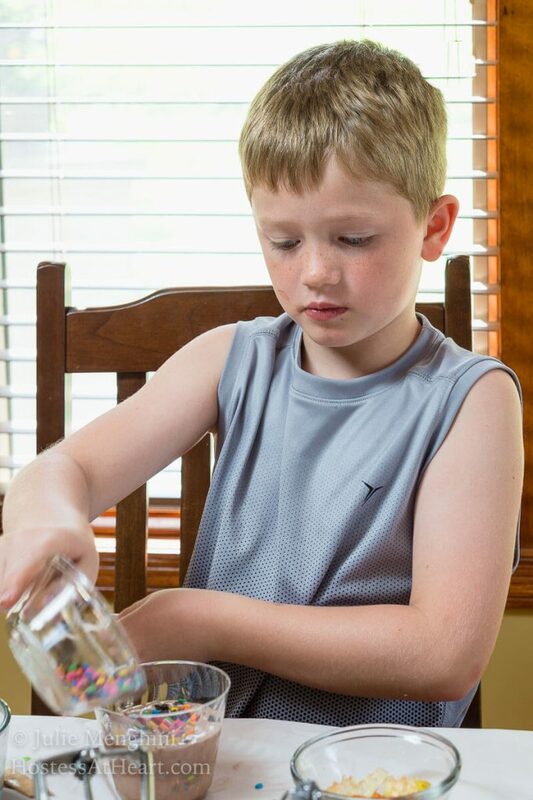 I think it is so much fun to have the kids make their own popsicles! This way I don’t have to buy a bajillion boxes of different ones! Everyone gets the flavor and the toppings that they want! Even me! Thank you Jennifer! We had so much fun and they’re already talking about the next activity! Now I just need to come up with one. My kids will LOVE making these!!!! Thank you, Brandi! We had a wonderful time making and eating them! I love ice cream, it is one my weakness! These look so good and fun!! Thank you, Deanna! I’m with you, I love my ice cream and mine’s usually chocolate. Thank you, Dini! It would make a great birthday party activity! These are SO MUCH fun!! My kids are going to be so excited to make them! Thank you Michaela! We had so much fun that the kiddos are already planning their next adventure. What a fun idea for the kiddos! My little nephews and niece will love this! Thank you Michelle! We had a ton of fun making them too. These all look delicious! I love this idea for the kiddos in the summer time. I know my crew would have a blast making these! Thank you, Ashlyn! These kiddos (and I) had a lot of fun too. My kids are grown too, but my young nephews would love to make these. Great idea while their visiting! Thank you Sandra! My hubby kept a few back for himself too! This is an awesome idea! Haven’t heard of this brand, will have to see if i can find the ice cream around here. I can’t wait to make these with my boys! It’s a very prominent brand here and we love it because they use local dairy farmers milk for their products and it’s yummmmmmy! Thank you, Angela! 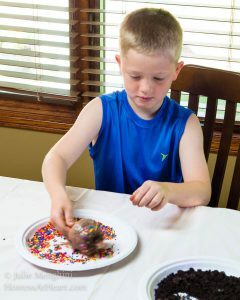 These look great and they are sure to be a blast for the kids. Thank you, Steve! My little neighbors had a ball! Oh, they look so cute Julie. My kids asked me to make these ice cream pops for them. My little kids absolutely love them. Thank you, Vivian! We had a lot of fun making them. This is a really fun idea. Thank you, Kim! We had such a great time making them. You’re exactly right Judi! We always had fun activities and really looked forward to making our “masterpieces” in the kitchen! Thank you, Ana! Those kids are so good that it’s just no trouble to have them help and I always look forward to it. I WISH you were my neighbor too Kelsie! We would have a ball. 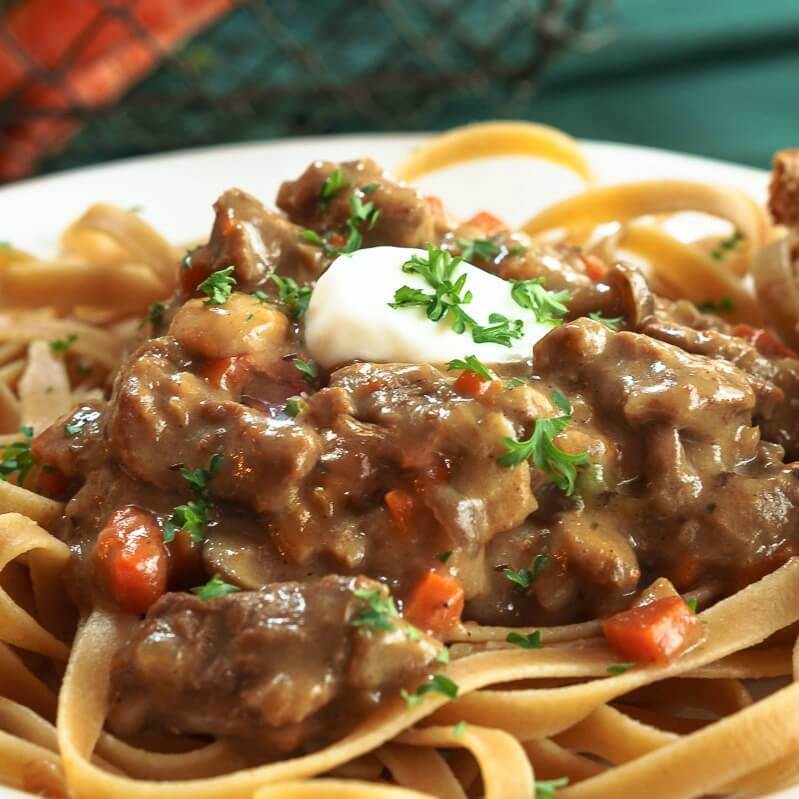 We’d fatten up that elderly couple that walks in your neighborhood that’s for sure! How fun! My kids are grown too, but they’d love these. Thank you Andrea! Heck John and I like them. No kids more for us LOL! Love the whole concept and great to consume during the summertime. This is such a fun idea! I’d love to try this for my nephews! Thank you, Lisa! It was a lot of fun and went pretty quick too. 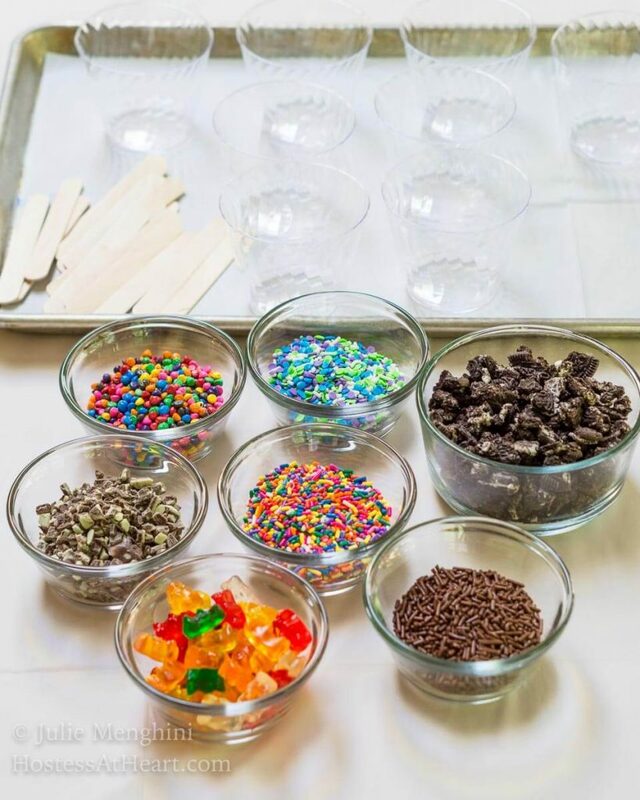 These look like so much fun to make, I love anything with sprinkles haha. Thank you, Emily! 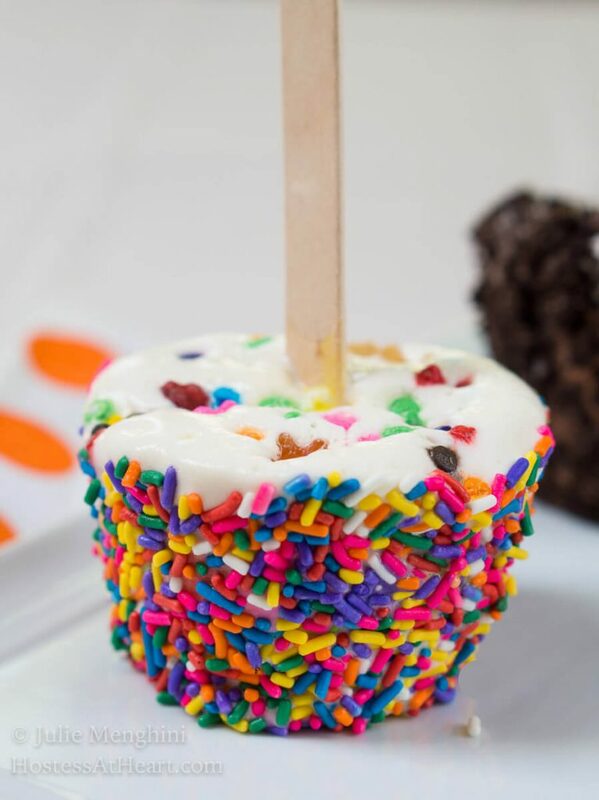 This one is definitely best with tons of sprinkles! That sounds like so much fun & they look delicious as well. Nice way to involve kids in the process. Thank you! I always had my own kids in the kitchen and they both like to cook and get around pretty well today. These look incredibly fun to make. I’d send my girls over to you for the afternoon, but airfare is a slight issue! I’d definitely explore the chocolate mint combination. And are those cardboard ice cream boxes I see? So retro. Thank you, Jane! I’d love to host you and your little girls for an afternoon of ice cream fun! Highland still packs some of their ice cream in those cardboard containers. Thank you, Sonal! We had such a great time.